As one of the crucial elements of a successful online business, choosing the best web hosting services for your website is crucial. A good web hosting provides you with innumerable benefits such as faster website speed, protection from common cyber threats, allocation of enough storage to keep your site up-to-date with latest technologies and much more. Thus, when it comes to selecting a web host it is important that you do your research and pick the best from the available options. However, in spite of your best intentions, there are chances that you might end up with a poor web host. The reasons for these are many, the major being getting hoodwinked by attractive features and low-cost that many web hosting providers dangle in front of newbies bloggers and startups to get them to sign up with them. Therefore, if you want to know common signs of a poor-quality web host then the below infographic can be a great help. 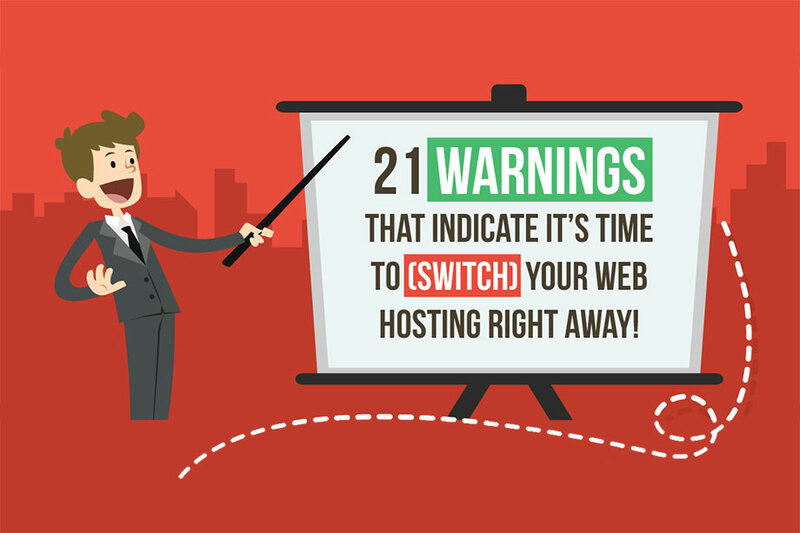 Comprising of 21 warning signs, this infographic highlights the lack of essential web hosting features that low-quality hosting provider are unable to offer in spite of charging you a premium price. The negative effects of continuing with a cheap web host include low site’s speed, high bounce, low traffic and ranking and others. Plus, it could also hurt your brand’s credibility, affecting your site’s ROI. A such, it is important that you switch to another web host immediately if you notice more than 3 warning signs on your website. The below infographic can be used as a checklist by both – those who have already purchased a web host as well as those who are in the process of buying one. This infographic will help you steer clear of bad web hosts. Plus, it will help you make an informed decision. Thus, go ahead and take a look at this infographic now.